Forgive me for using a hashtag in the title of my blogpost, that is something I would never do unless the hashtag needs more coverage and I feel that UKYA does! 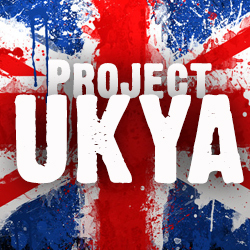 It is a hashtag started by Project UKYA, a blog dedicated to the awesome fiction which comes from our home soil. This weekend sees the #readUKYA hit twitter in a readathon designed to focus purely on home grown fiction. The readathon started on Thursday and runs to 11pm on Sunday, and as my part in it all I decided to share with you some of my favourite UK authors. Zoe came into my life via twitter. I started following her and loved what I saw, she’s funny, proud of who she is and is a lovely person. I knew straight away that I wanted to check out her work and when I found Daughter of the Flames in my local library I knew I should start there. I am so glade I did because I never stopped, having read every book she has brought out recently I am yet to find anything about her work I don’t love. She is the first author I recommend to anyone who asks; especially those who have ideas of teen fiction which need quashing. I’m a sucker for psychological thrillers and thats what me and my dad used to bond over many years ago when I was a teen. We would sit watching movies from the genre and bat questions and suspicions off one another. When I found Cat Clarke I knew I had found fiction based on what I used to see on the screen, with a no holds barred approach I honestly am a little scared of what Cat could be capable of if her writings anything to go by. If you love ambiguous endings as I do, Cat is an author you should check out. When I was a teenager I used to steal myself away in the teen section of my local bookstore. There I found a lot of love for a lot of authors who haven’t found their way on to this list because I, and my reading choices, have changed so much in those years. Sarra Manning was the first to introduce me to an LGBT character in YA fiction and she is one of the few authors who has stayed beside me throughout my journey from awkward adolescent to the adult I am now. Again I founded Keris on twitter. She was awesome, so knowledgeable about books and life and I was kinda in awe of her. When I found out she lived close by I couldn’t believe it – someone near who I may be able to meet with and talk books! I decided to read her first book because I knew there was a parental advisor sticker (or the ‘not for younger teens’ equivalent) on it and I’m so glad I did. Keris offers a nice, fresh face to UK based contemporary teen fiction and does it with realistic characters who will win your heart. There are many, many more authors I could go into but as I have limited time and I don’t wish to bore you, my dear readers, I will leave the in-depth list here. There are others who come to mind who will not surprise people like JK Rowling and Malorie Blackman but also others who are worth noting who you may not recognise as well like Sharon Jones, Ruth Warburton, CJ Skuse and Non Pratt. Having looked over this list I’ve realised it is quite ridiculously one sided towards female authors – oops – I am forgetting the awesomeness which comes from within Jonathan Stroud, Phil Earle and Marcus Sedgwicks books, obviously! Thank you so much for writing this post, Raimy!